The Heroin Diaries by Nikki Sixx. I’m a big fan of heavy metal music. In past book review’s I’ve chronicled the writings of KISS bass player and entrepreneur, Gene Simmons. This book, however is on a subject matter that’s quite different: addiction and recovery. 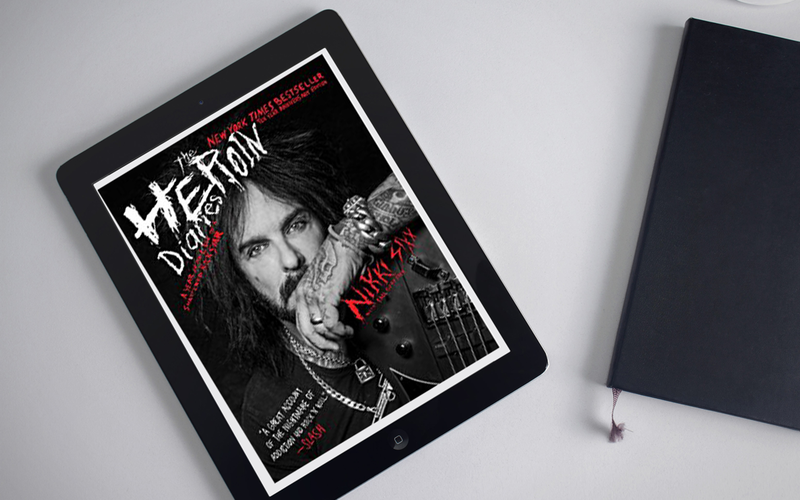 Originally released 10-years ago, Nikki Sixx of the rock band Motley Crue, reflects back on the journals he wrote during the 1980’s to show his personal rise and fall of being while in one of the most successful rock bands of all-time. Let me be up front, I do not endorse drug or Heroine use. That’s a personal decision. The book gives the reader a no-holds barred up close and detailed look at the dark side of fame and how he managed to drag himself back from not only death -twice- but into a long period of sobriety and a happier home and life after Motley Crue. I’m a big believer that a breakdown is often the breakthrough for many people. It’s astonishing to see how down and out someone could get and still make it through to recover and become a productive member of society. Not only are some of the stories disturbing -yes, the book is very graphic- but many of them are both hysterically funny and instructive. I played in rock bands in high school and college and could relate to some of the book from a musician’s stand point.